A quiz night with a twist! In the Living Quiz every question is performed live: acted, sung, mimed or danced by Living Spit’s very own Howard Coggins and Stu Mcloughlin! Armed with just a guitar, a double bass and a ukulele, they mix improvisation techniques with their own unique performance style and apply them to the tired old ‘Pub- Quiz’ format, resulting in an explosively entertaining live quiz night with a difference. Form and name your team in advance, or join a brand new one on the night to compete to win a very special, mystery star prize. 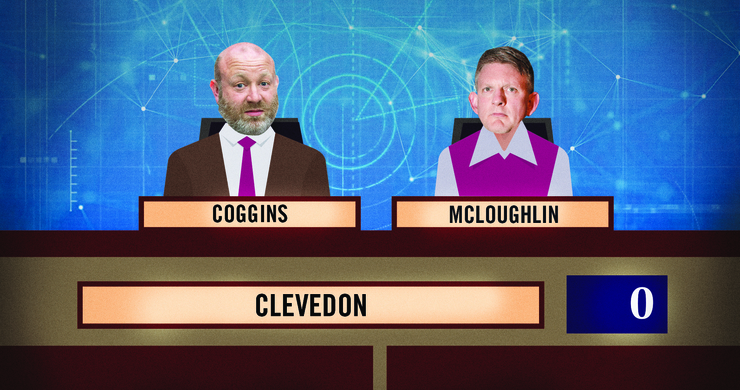 Whatever your mental agility, from brainbox to novice, the Living Quiz promises to be so flippin’ entertaining that there’s something for everyone to enjoy! So grab your Granny and your colleagues, muster your mates and assemble your in-laws for a unique, live quiz experience that’s never the same twice. After you’ve quizzed with us, you’ll know you’ve been quizzed with!